The “resuscitation” of old, well-known brands is good business sense, as it may take advantage of previous associations and loyalties. Following are a few examples of Czech firms that have re-launched or re-designed classic products successfully. DO YOU REMEMBER the “Beetle”, the popular people’s car from Volkswagen in the sixties? Three years ago a new modern version appeared on the global market. It kept some of the original design, but added the modern lines and innards of a state-of-the-art car. The new Beetle was an immediate hit – the manufacturer reinvented a model that had long ago been popular, and it worked. A similar move also paid off for the makers of Apple computers, whose sales dropped rapidly at the beginning of the 1990s. In 1997 the brand controlled only 3% of the market and recorded a loss of USD 2.3 billion. The basis for resuscitating the brand was an emphasis on users’ relationships with their Apple computers. It wasn’t so much a question of the machine’s technical performance as it was the options it offers users. In 1998 the firm came out with a campaign, “Think different”, followed by the launch of the iMacs and G3s, computers that meet the new vision: a powerful computer at a low price, with attractive design and easy operation. Apple’s market share rose to 12%, and by August 1999 its share value was up 500%. Investing in renewing an already existing brand is of benefit in many ways. Primarily, relaunching a well established product costs far less than launching an entirely new brand. Another advantage is that people already know the product and may have certain loyalties to it. “It is always easier to address someone who already has some experience with a given brand, because buying a completely new product is always more complicated,” says Ladislav Vrdlovec, a consultant for ICV, an educational company. He says that this is borne out by cases of foreign companies buying Czech brands, such as the popular dishwashing liquid Jar. “These brands have enormous potential for firms, because Czechs know them well,” Vrdlovec claims. 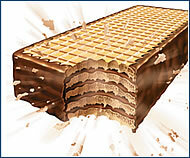 This can be seen in the field of confections – French firm Danone and Swiss confectioner Nestlé bought chocolate maker Orion and biscuit maker Opavia, successfully revitalizing many traditional chocolate bars and biscuits: Opavia and Tatranka biscuits and Kofila and Kaštany chocolate bars, etc. Renewing a brand is an art in its own way, because it is mainly necessary to judge which brands have the potential for it. We look differently at brands that have simply become commonplace and gradually disappeared than we do at brands that were not successful with customers, leading to production halts. In order for a renewal attempt to be worth it, a brand must contain values that consumers appreciate or values that can be developed. Then all you have to do is proceed according to marketing mix principles and use similar strategies to those for maintaining a brand’s market share over the long term, according to Vrdlovec. However, it’s not always nostalgia that leads people to buy a product that they used long ago. Often one must bear in mind that the goods must appeal to new customers with different values. This requires certain changes encompassing new trends. For example, modification of the recipe, or the installation of a more powerful engine or processor, passing the new benefits on to customers. Such “new and improved” strategies worked with products like the Beetle or the Czech Tatranka (see sidebar, p. 37). For this article we prepared four case studies of Czech brands that were more or less renewed in the new post-1989 environment. Find out how the producers proceeded, and how successful they were. The bitter beverage Fernet Stock was born back in 1927. Two years later, sales of the liqueur were encouraging, but at that time some rather unpleasant events were taking place: the global economic crisis, the confiscation of the distillery by the Nazis in 1939, and the communist nationalization in 1948. However, during the sixties and seventies, Fernet’s popularity rose sharply, and until the nineties it was practically impossible to find it on the shelves. But the profits from sales were used to subsidize other parts of the socialist system, so investments in modernization and improved production were out of the question. According to Richard Švéda, Stock Plzeň-Božkov’s marketing director, the brand awareness and prestige that the Fernet Stock liqueur managed to maintain through 40 years of a centrally directed economy were the main advantages for the future. But this does not change the fact that the firm had to completely change its business philosophy. The new era of building the Fernet Stock brand after 1989 was naturally preceded by marketing research. The specially ordered research covered practically everything that related to production, from questions like, “Would you like green or clear bottles?” through tests of the popularity of advertisements. As a matter of course, the firm conducts such research prior to every principal decision. The entire process was based on a complex marketing strategy, which Švéda illustrates with an example of the advertising. Like other products from the socialist days, Fernet Stock did not have its own “face”, and that had to be changed. Its target group is men aged 25 to 45. “We started out from the fact that, thanks to its specific, bitter taste, Fernet Stock is popular mainly among men. And from there the building of the brand’s image developed as the drink for real men,” Švéda says. In 1996 there appeared an advertising spot that was the very first television advertisement for spirits. The visual form of television and print advertising has changed since then, but the main motto, “A top Czech brand with exceptional flavor, for exceptional men”, remains the same. From 1990 to 1997 sales of the liqueur grew by nearly 500%, from 2.7 million liters to 12.5 million liters, and today, Stock Plzeň-Božkov, with a market share of over 30%, is the largest spirits producer on the Czech market. 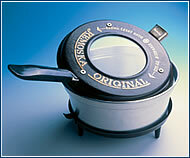 Production of Remoska, a multipurpose kitchen appliance, started in 1957. 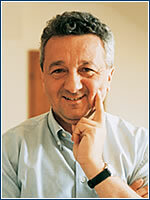 “In the 1950s and ’60s nearly every household used one,” says Ivo Svoboda, Remoska’s sales director. But not only locals could prepare chicken of special taste – the “made in Czechoslovakia” oven was exported to other Eastern markets as well. About 3 million products were produced between 1957-1991, but after that the production dropped down, even halted, and in 1994 the company was privatized. The new history of Remoska began later in the same year. According to Svoboda, consumer interest was the main stimulus for the resumption of production. Because the brand was very well known from the past, the target group was initially the older generation. Today the company tries to address mainly young people between 20 and 30 years of age. Four basic points were set for the marketing strategy – high quality, energy conservation, tradition, and utilitarian value – on which the advertising campaign was built. According to marketing research results, the firm focuses its communications strategy mainly on women’s magazines and television and radio programs like “Receptář”, “Sama doma”. Svoboda says that allying with DuPont, the producer of the non-stick material known as teflon, was a great move. Many PR articles in various technical, specialized, and gastronomy magazines were published under this cooperation. Of course the design has undergone some changes, and new, modern materials are used. “It was important to make it obvious that it is the successor of the traditional Remoska, with improvements like teflon,” explains Svoboda. Over the years the Remoska also got new attractive packaging. The production gradually grew from about 12-14 thousand units in 1994 to last year’s 32 thousand units. Today customer’s are found in Slovakia, Hungary and Yugoslavia. A big success was recorded in Great Britain, where 1,500 units were sold in 2001, and about 18,000 to date. The technological process for producing Tatranka wafers, which first saw the light of day in 1945, is marked as one of the greatest events in the Czech comestibles industry. Dipping the edges in chocolate was made possible by the use of little metal rails. In the nineties, Opavia worked on the further development and profiling of the Tatranka brand. Several marketing research projects were implemented, the goal of which was to learn the opinions of potential customers on matters relating to, for example, packaging, price, communications, etc. The target group is mainly younger, active families, but according to the senior brand manager of Opavia-LU, Roman Trzaskalik, the wafers are consumed by all age groups. The first television advertising was aired in 1993, and the greatest change in brand support strategy took place in 1996. That was when an advertising spot named “Kánoe” was aired, and became deeply engrained in the subconscious of viewers. For the first time the spot began to feature the concept of Tatranka for the outdoors and for outings. The most recent advertising activities are two television spots – the man with the scythe for ČokoTatrankas and the family in the mountains for classic Tatrankas. However, brand support is not limited to television advertising: it also includes a wide range of below-the-line activities, not only at points of sale (for example, marking out hiking routes or the campaign in major mountaineering or winter centers throughout the Czech Republic). Over the years there have been several basic changes in the product itself. For example, the introduction of the production of MiniTatrankas or the fully coated ČokoTatrankas. Today there are already several types of both classic Tatrankas and ČokoTatrankas. According to an Advertising Tracking Study in 2002, which was conducted by Millward Brown, the Tatranka brand is currently recognized spontaneously by 97% of the Czech public and 30% of the population identifies it as the number one brand of cookies or wafers. In 2002 milk and chocolate ČokoTatrankas were named “Product of the Year” in the bars category, with consumers themselves deciding the results. As far as sales go, the firm provided us with only percentage indexes as of 1996. After the already mentioned change in brand support strategy, sales increased – in 1997 by 38% and in subsequent years, growth as compared with 1996 increased annually by 20 to 30%. On today’s highly competitive wafer market, Tatrankas are holding their position as the most widely sold product. that Pribináček, the dairy treat from Posázaví, is healthy. And because the communists controlled the nation, it was decided that in each region at least one milk factory must produce Pribináček. Gradually the products in each region became differentiated not only by name, but also in taste and packaging. The new brand-building era for Pribináček had a good position to start with, as it was still quite strong after 1989. On the other hand, the company had to respect the strong customer relationship and expectations about the brand, which imposed certain limitations on design planning, brand development, and communications in general. “First we had to carry out a thorough analysis and chose areas and methods for supporting the brand,” says Jarmila Eflerová, Pribina’s brand manager. While the target group is young children (since Pribináček is a healthy, natural curd product that is made especially for them), the campaigns focus on mothers who buy these products for their children. In 1996 the company moved, and at the same time installed a new production line. In 2000 the product went through a “face-lift” with the aim to make it more visible in shops and to partially change the image emphasizing traditional values. The following year this change was supported by television campaign. Concerning themes for advertising slogans and spots, Pribináček draws heavily on the past – campaigns still use the legendary song, “Every Day”, from the successful Czech film Long Live the Ghosts! Among other relaunching tools were print advertising and all sorts of consumer activities during which the firm could take advantage of direct contact with customers. 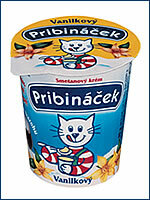 Pribináček is now “number one” on the market for dairy treats (AC Nielsen research in 2000 and 2001), and according to studies done by Opinion Window in 1998 and AISA in 2000-2001 it is also the best-rated product by customers.